What's on your bucket list? 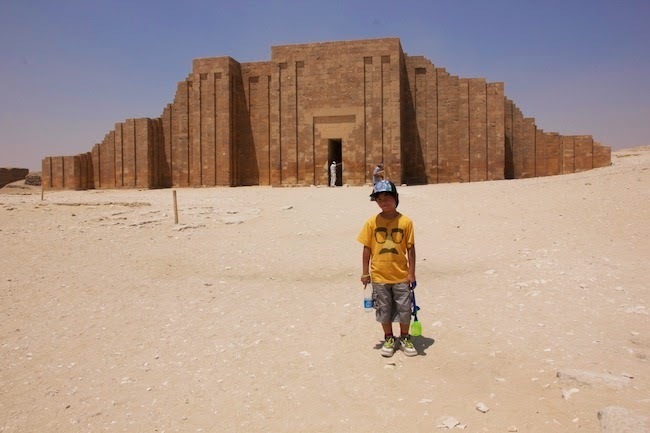 Egypt was always on mine until my then (3 years ago) 2nd grader became fascinated by everything about Egypt and was constantly bringing home books about it from his school library. Together we became very curious reading nightly about Egypt, which made me decide to make it a summer vacation in the present and not to save it for the future. Why? Well what's the best way to learn about a country? Go there! That we did! It so happened the X'mas of 2011 I received a Jetsetter beautiful coffee table book. Inside was a coupon to get free consultation with a Jetsetter travel agent. BAM. Just what I needed because without their help I would of had no clue where to start planning. Thanks to the awesome help of Jetsetters consultants planning our trip they made it happen with little fuss. They planned flights, hotels, transportation, private tour guide and driver, what to see and do - everything from A-Z, stuck to my budget and were able to stick to my constrictions of working around my lil' guys nap time. I was a Nazi about nap and bed time back in those days! HA. 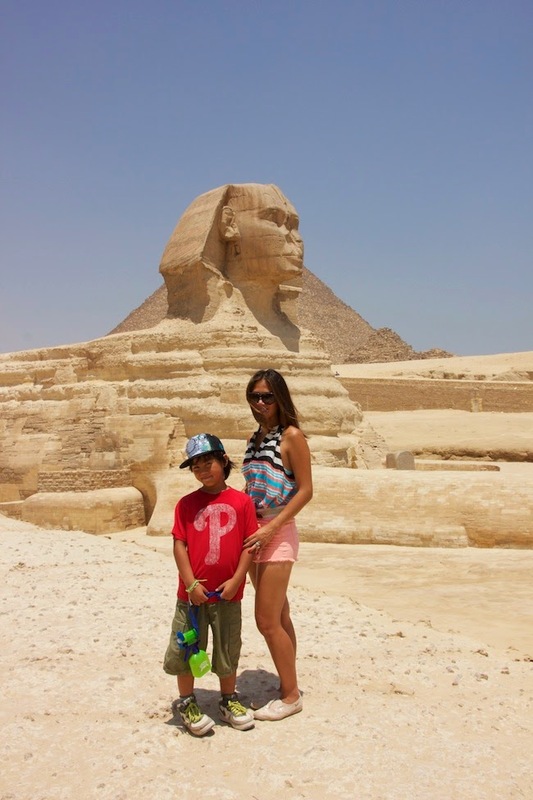 We visited Egypt in August 2012. The two boys and I. We flew Egyptian airlines direct NYC to Cairo (11 hours), and when we boarded the flight in New York there was a bunch of mixed nationalities flying together with us. NORMAL. 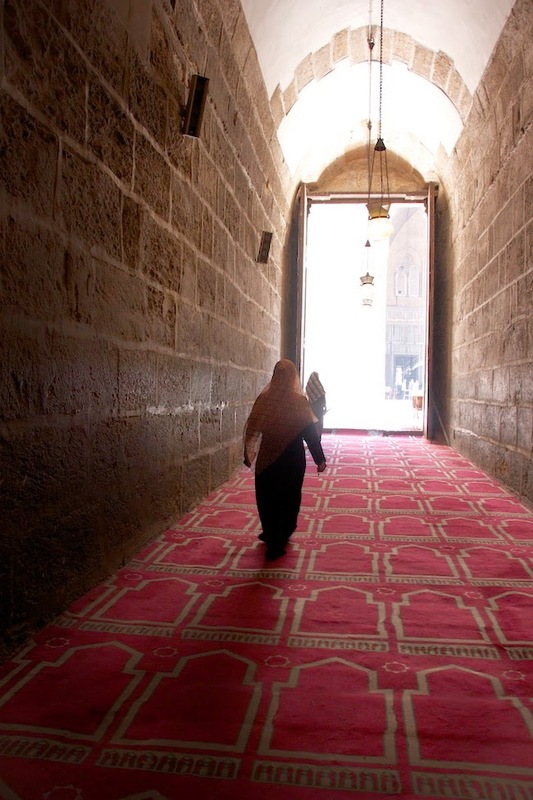 When we arrived in Cairo and was standing at baggage claim I realized that all those other mixed nationalities weren't there anymore, and we were basically the only tourist amongst many Egyptian natives. All those other people were just coming through Cairo on transit to somewhere else! ABNORMAL. This immediately showed how tourism had died in Egypt, due to the countries instability and off and on political problems shown in the media. However when we were there it was peaceful. Maybe because it was Ramadan their muslim holiday? No sign of danger and I never felt threatened with 2 young children. 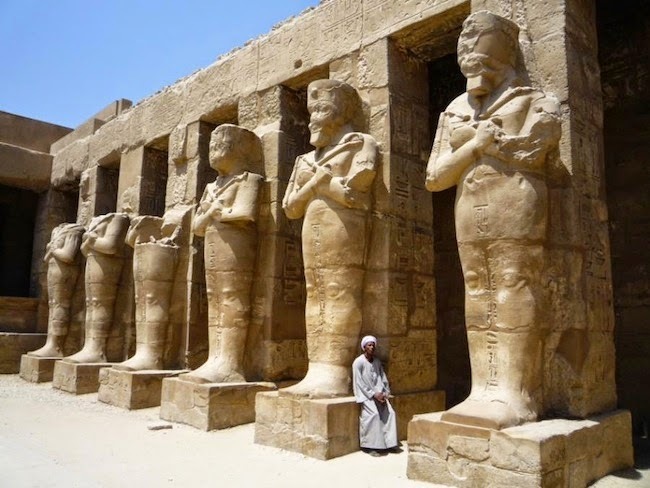 It was sad to see that the media had blown things out of proportion which scared off tourist from visiting Egypt. Meanwhile the local people depend on tourism to thrive. The lower class were so desperate that at a pyramid site when you return to the parking lot you may find your car washed in hopes of them receiving a tip! This is a scenario we heard about from a family we met at our hotel. FUNNY yet sad. First port of entry for any international flight. 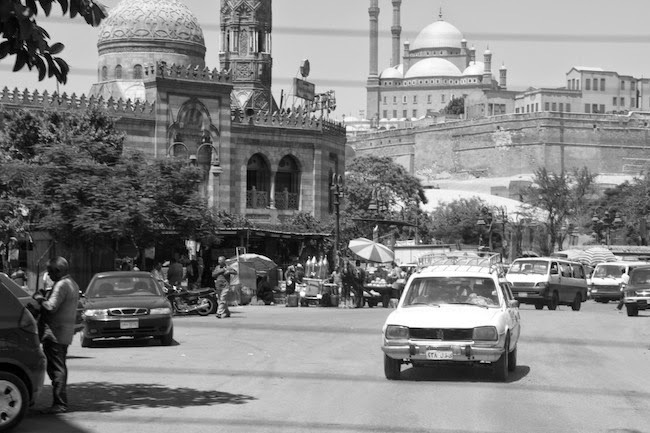 An ancient city with so much history and artifacts, yet bustling with traffic and city noise. We spent four days here, but honestly could of spent a full week. So much to see! Picture perfect. 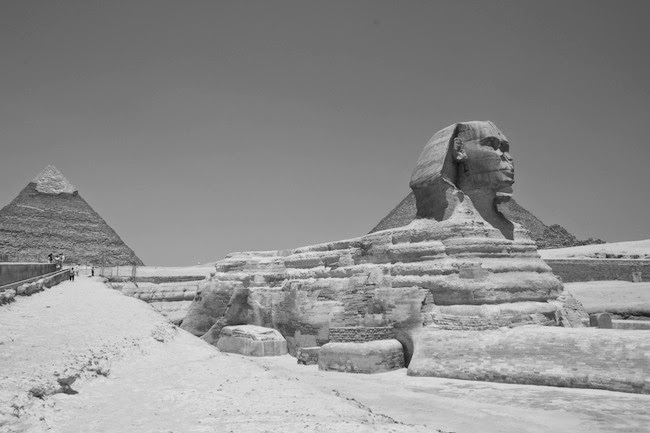 One of the seven wonders of the world. Amazing to think that these structures were built by hand and no machines were used to transport the huge limestone blocks. We did not climb up to the top. With my little guy it was surprising that we even made it about half way up by foot. No way I was about to carry him! 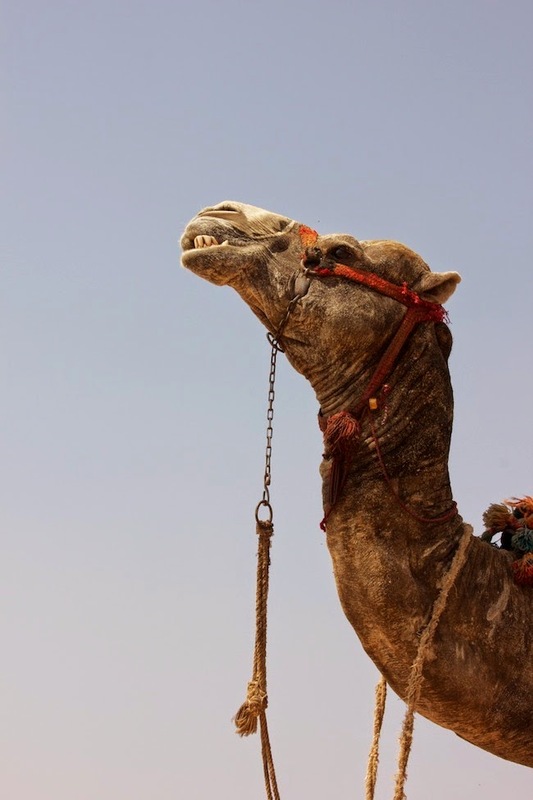 After visiting the Giza pyramids we got a camel ride in the same area. My oldest was caught spraying the camel with water trying to cool him down. Poor camel! Actually it looked like he wasn't bothered. Camel probably enjoyed the cool down! 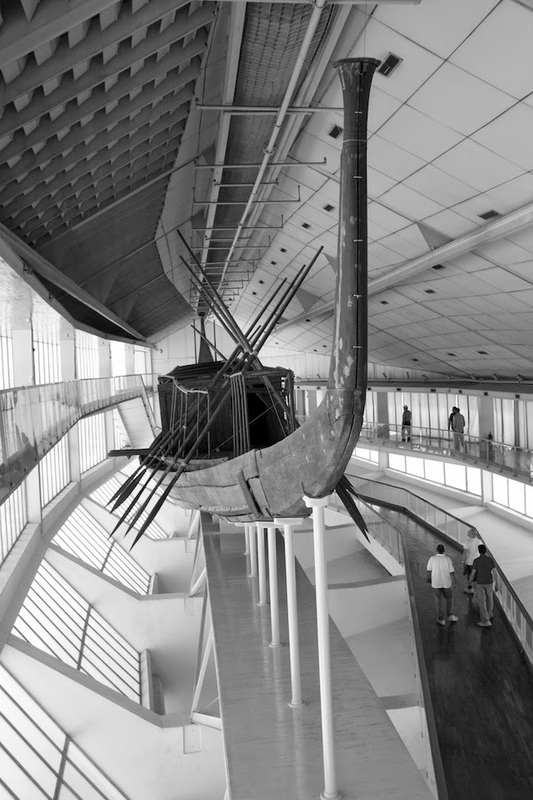 The solar boat that they believe carried the mummy of the dead pharaoh across the Nile. Restored from 1200 pieces of wood. The ever so famous statue we've all learned about in school, that stands in front of the Pyramid of Khufu. Body of a lion and head of a human. There are so many artifacts stored at this museum you could literally spend the whole day there! Obviously with kids we spent the shortest amount of time possible and just saw the highlights. A must is Tutankhamun's tomb. A.K.A King Tut. 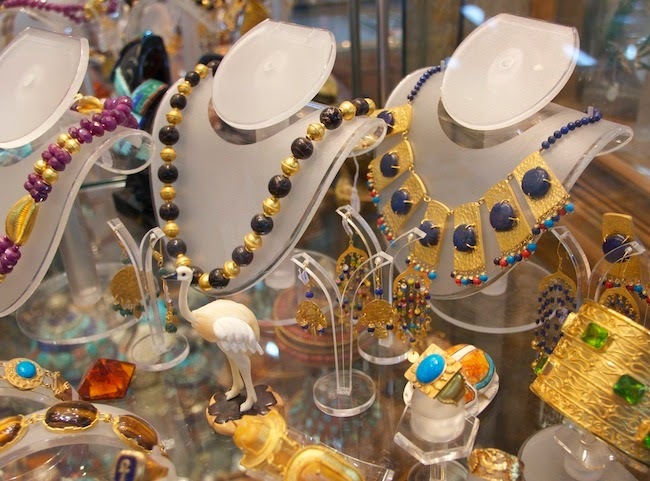 A lot of jewelry found in his tomb and check out his ornate burial mask on display. The mummies room was what got the kids and fascinated them. Some mummies still had their teeth and fingernails! AMAZING. There was also a child mummy holding on to his pet baboon. Kind of freaky to know your walking around a room of dead people with mummies everywhere, but also very intriguing. Unfortunately no photos allowed inside. Walk the 14th century alley ways of this market. Fun just to walk around and see so many different things. 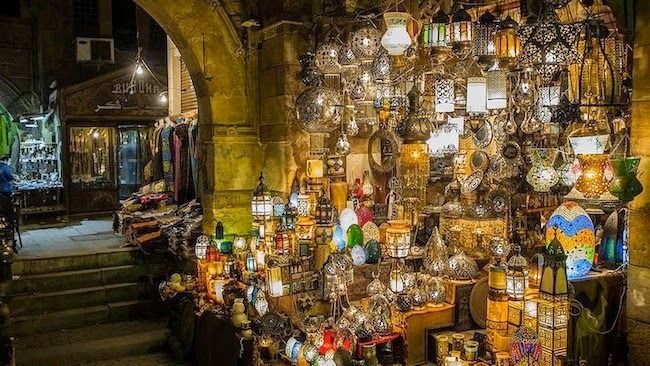 Lamps, carpets, leather, inlaid boxes, spices and jewelry. Look at that fab jewelry! LOVE. Arms and legs must be covered. Wear a long sleeve top, or throw a cardigan over, and wear pants or a long dress. Even though I was wearing a long dress it was kind of transparent, and in their minds risqué, so I was given a robe to wear! A different kind of pyramid rather then the traditional triangle shape we're more familiar with. 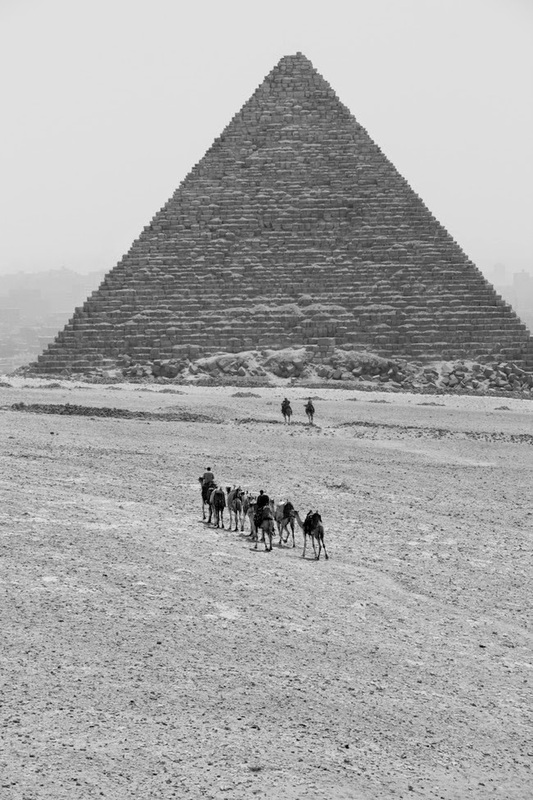 These were the 1st pyramids to be made, known as the step pyramids. 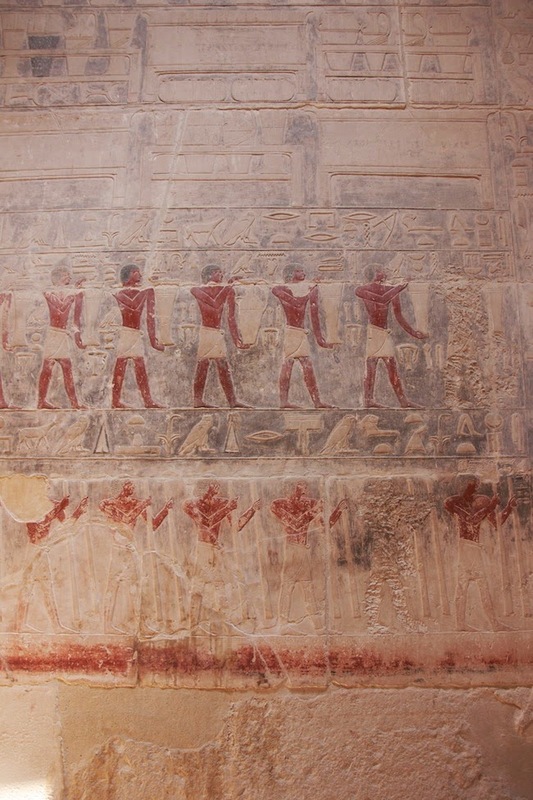 Inside you can see the hieroglyphic carvings and paintings inside Ptahhotep's tomb. He was a high official that lived the high life. In the paintings you can see him having his wig fitted and feet massaged! It's a little cheesy but great for the kids, and cool to see the pyramids dramatically lit up at night. Five star hotel, owned by the Oberoi hotel chain. We could see the pyramids of Giza from our room. Large pool, golf carts to take you to your rooms, clean and nice grounds. Very good Indian restaurant too! 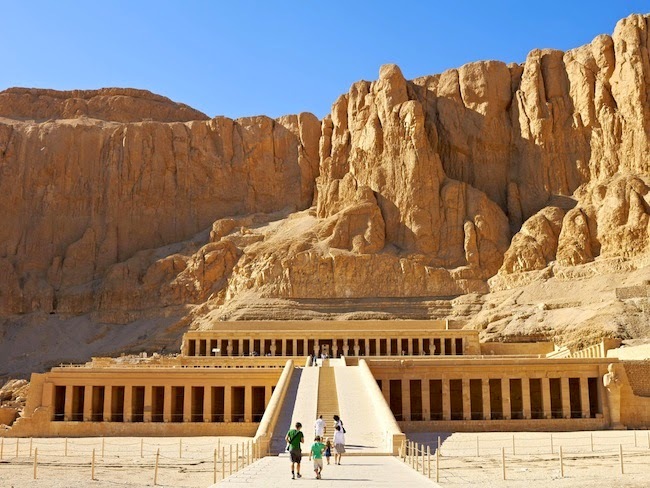 There are different ways to get from Cairo to Luxor, an overnight train ride or boat ride along the nile or to fly for 1 hour. We opted to fly to save time. We spent 3 days here but were not that productive in comparison to Cairo. Luxor is about 10 degrees fahrenheit hotter then Cairo. OUCH. Seriously - at the pool we couldn't even stand on the ground barefoot without getting burned, so had to wear our flip flops to the poolside until we could dip into water! 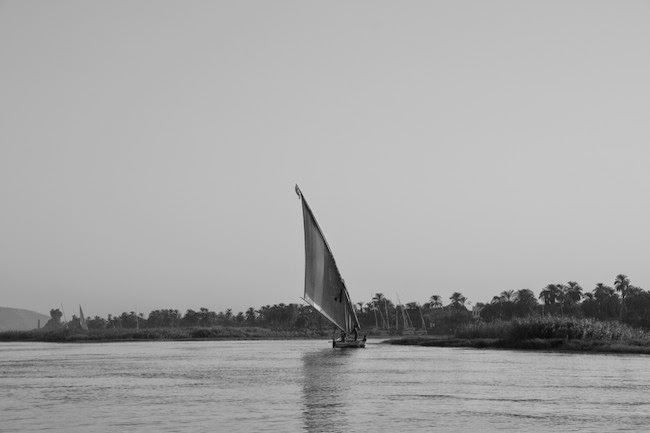 Sail the Nile in a Felucca and enjoy the breeze and scenery. The largest religious building ever made. A city of temples. 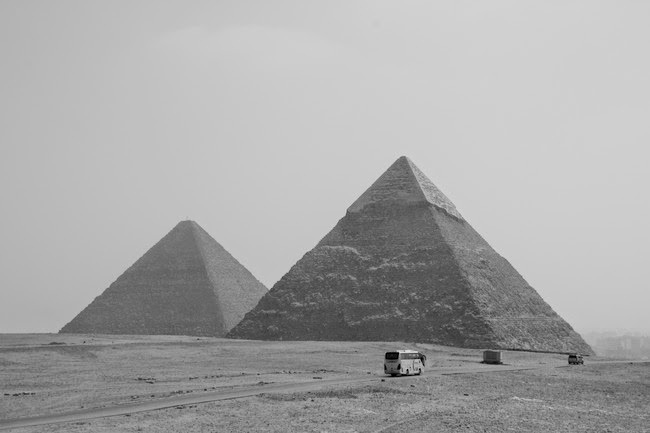 The 2nd most visited site in Egypt after the Giza pyramids. Go early in the morning at 7am to avoid the heat so you have time to walk around this huge open air museum. Set in a valley, hence the name, it is a burial site for the royalty. 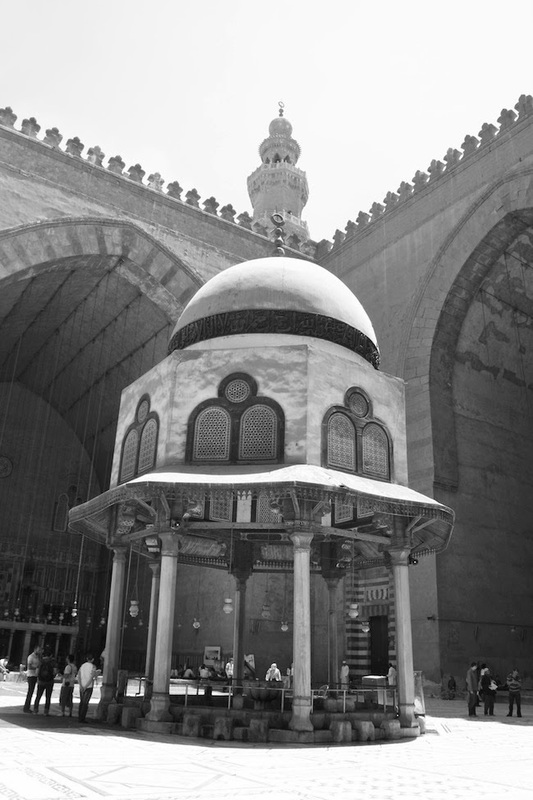 Lying on the west bank of the Nile it holds 63 tombs. King Tut's is one of them. Your basic Hilton room. 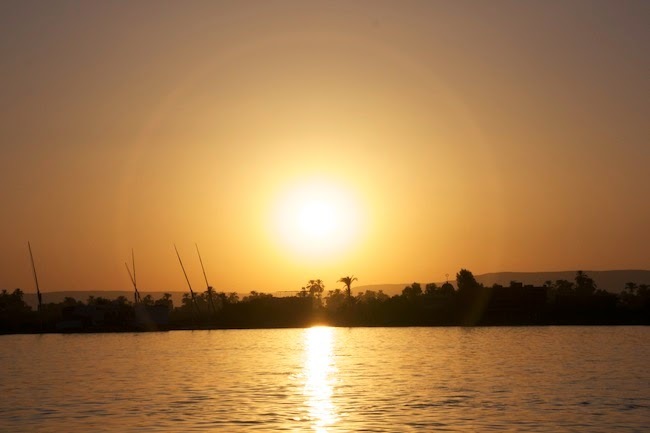 Set along the Nile, good location, and only a few minutes away from Temple of Karnak. Best thing - they had sun beds to lay in inside the pool! 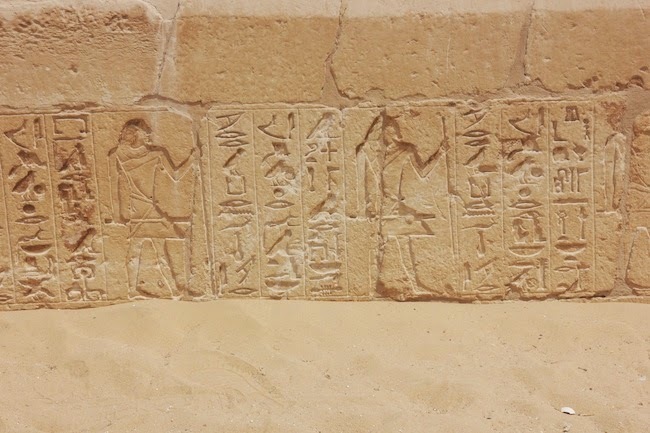 Drove for 3.5 hours from Luxor to Hurghada across the desert. This stop was purposely planned to give my kids a break at the end of the trip to let them enjoy themselves at the beach by the red sea. By now they had cultural over dose and had done so well touring in the last two cities, so they deserved this treat. For 3 days we just stayed in the hotel with large rooms, beautiful grounds and enjoyed sun, sand and pool. I unfortunately have no restaurant advise to give from our whole trip. With my little guy only being 3 years old at the time and sanitary + peanut allergy issues we were advised it was best to only eat at hotels. It worked out perfectly since we started out really early in the day avoiding the heat, and returned before noon for lunch and nap time. We ended up mainly eating lunch by the pool, so the kids could have some free time swimming while waiting for food, and then dinner at one of the hotels many restaurants. Or room service on a few nights when the kids were really DONE for the day. The heat does exhaust you. It was by far the most educational trip we've taken. 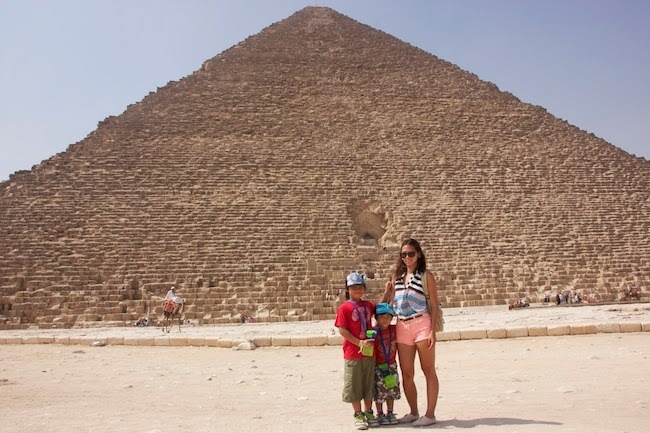 I'm happy that the memories and experiences from Egypt have stuck in my kids minds 3 years later. We're not done there! 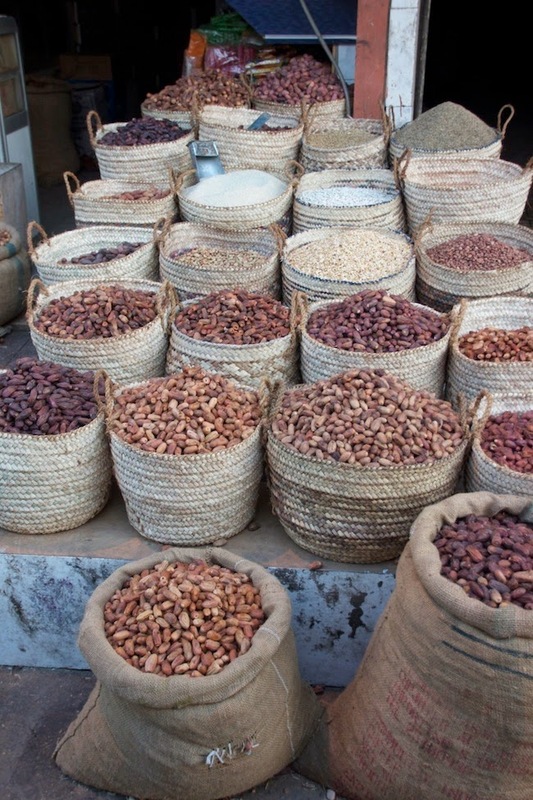 I hope to go back again and visit Aswan and Alexandria. Been told Spring time is the best time to visit. Still hot but not as scorching as the summer rays. 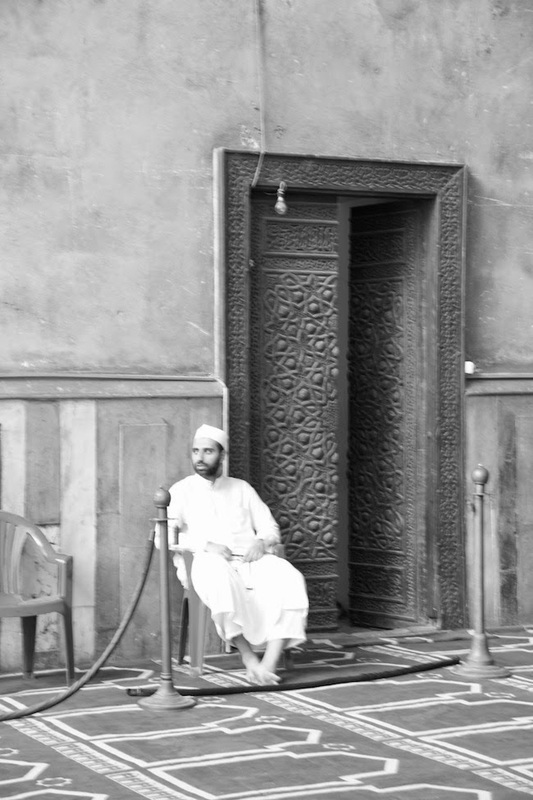 The next time I will definitely be asking our guide Hesham to take as around again. He is French/ Egyptian. 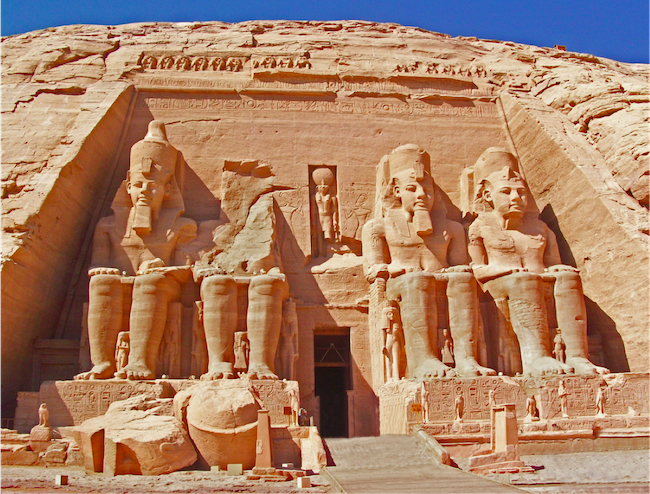 Spoke great English, and is a Egyptologist so was extremely knowledgeable and accommodating. If you plan to go to Egypt give him a call. Tell him Farah sent you! He will know me as we still communicate and send best wishes to each other every X'mas holidays. Nice guy.